The Osprey led most of the game and even out hit the first place Billings Mustangs at Ogren Park Allegiance Field on Tuesday night, but in the end, two Mustang homeruns did Missoula in. The battle for the second half division title moved to Missoula for a four game homestand and Billings took game in come from behind fashion. Mustangs 3B Juan Martinez hit two 2-run homeruns to help Billings overcome an Osprey 4-2 lead to win 6-4. Osprey 2B Eddie Hernandez and LF Kristian Robinson combined to go 7 for 8 with a walk, 2 runs, and 4 RBI as they drove home all of Missoula's runs. In the end, it wasn't enough as Billings increased its division lead to 3 ½ games. 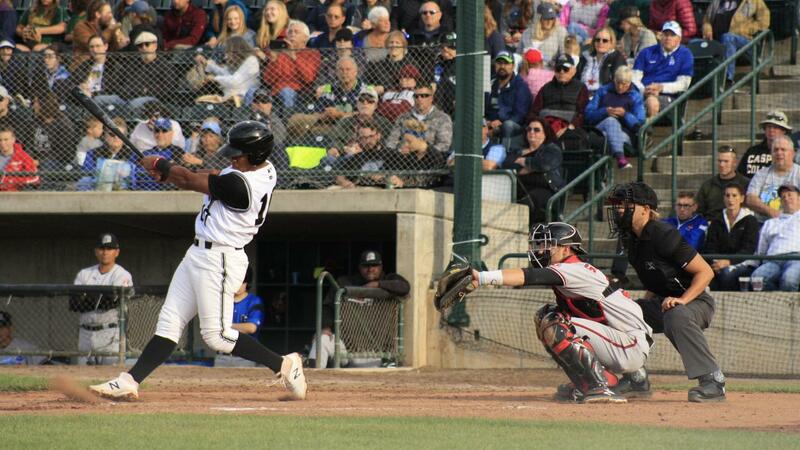 The Osprey host the Mustangs in game two of the series on Wednesday night with a 7:05 first pitch. The Osprey got the home crowd excited early as they jumped out to a 3-0 lead in the 1 st inning. With one out, SS Blaze Alexander walked and then advanced to 2nd on 3B Buddy Kennedy's single. One out later, Robinson hit a line drive to center for a RBI single and advanced to second on the failed throw to get Kennedy out at third. Hernandez then singled home both Kennedy and Robinson for the early lead. Billings got on the board in the top of the 2 nd as Martinez hit his first 2-run homerun to make it 3-2. Missoula got it to 4-2 in the 3rd behind the Robinson and Hernandez combo. Robinson singled, stole second, and scored on Hernandez' RBI single. Billings CF Mariel Bautista tripled to open the 4th and scored on a sac fly and Missoula's lead shrunk to 4-3. Martinez then connected for his second homerun of the game in the 6th . This 2-run shot put Billings up 5-4. The Osprey tried to rally but they left the bases loaded in the 5th and had runners on base in every subsequent inning but the 6 th . Billings got an insurance run in the top of the 8th on C Pabel Manzanero's single for the final tally of 6-4. The Osprey and Mustangs continue the 4-game series on Wednesday at Ogren Park Allegiance Field. The series runs through Friday, August 31st . Tickets are on sale now at the MSO Hub in downtown Missoula or by visiting the Osprey at www.missoulaosprey.com.